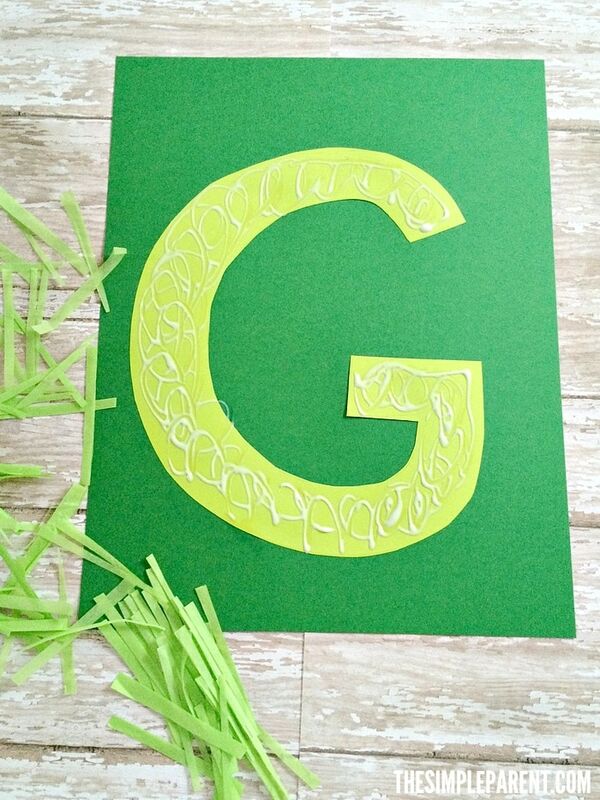 Home » Crafts & DIY » Preschool Letter G Craft: G is for Grass to Celebrate Spring! Our Preschool Letter G Craft is part of a sponsored partnership with Amazon Studios. Spring is in the air and both Weston and Carrigan have been enjoying getting outside more! 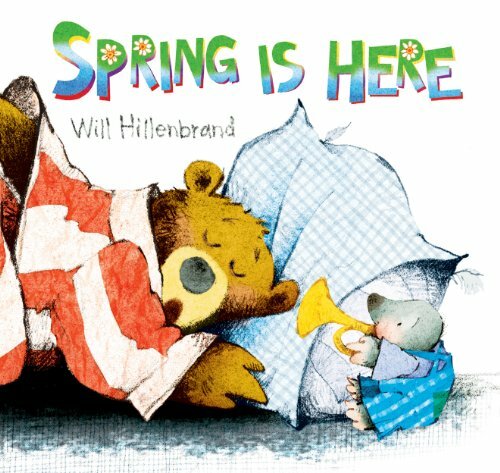 We’ve also been reading a lot of books about spring. Carrigan is noticing plants growing and Weston is telling us everything he’s learning about the season when he gets home from school. You might know we’re a fan of Letter of the Week crafts and we recently had some great inspiration for a new one! 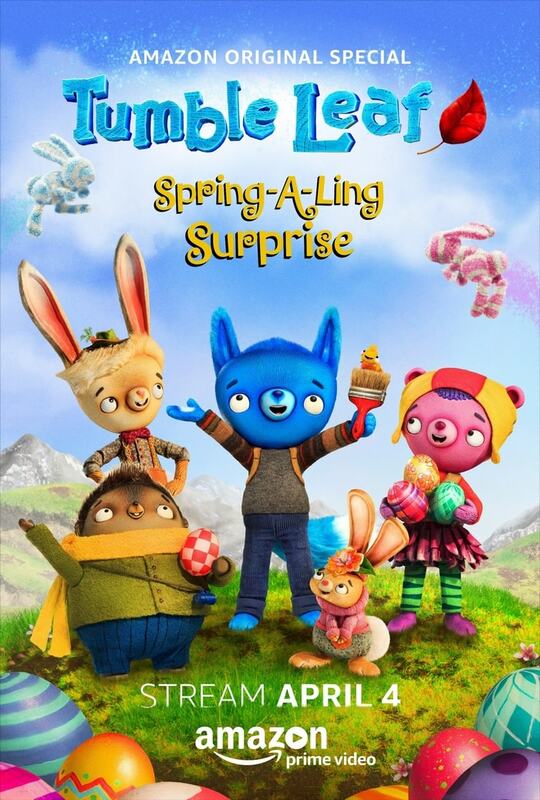 On Tuesday, April 4th, “Spring–a–ling Surprise,” an adorable new springtime special from Amazon’s award-winning children’s series Tumble Leaf, is set to “spring” onto Prime Video for kids and families across the country! Both kids love watching Amazon shows and were thrilled to have the chance to screen the show with me. It was a hit and we’re looking forward to watching it on Amazon! 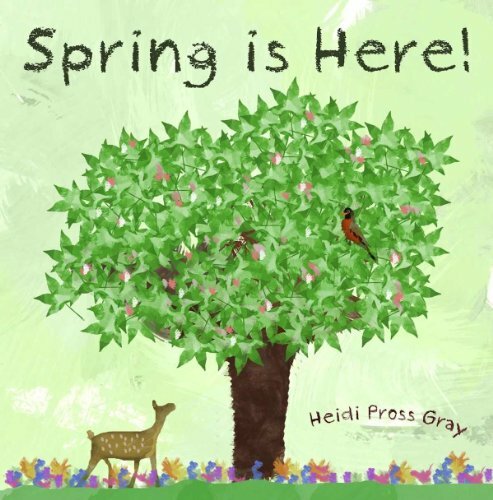 In “Spring–a–ling Surprise,” everyone helps Bloom the bunny hunt for his lost eggs, which he plans to plant for a spectacular spring surprise, while Fig the fox uncovers many other signs of spring along the way! 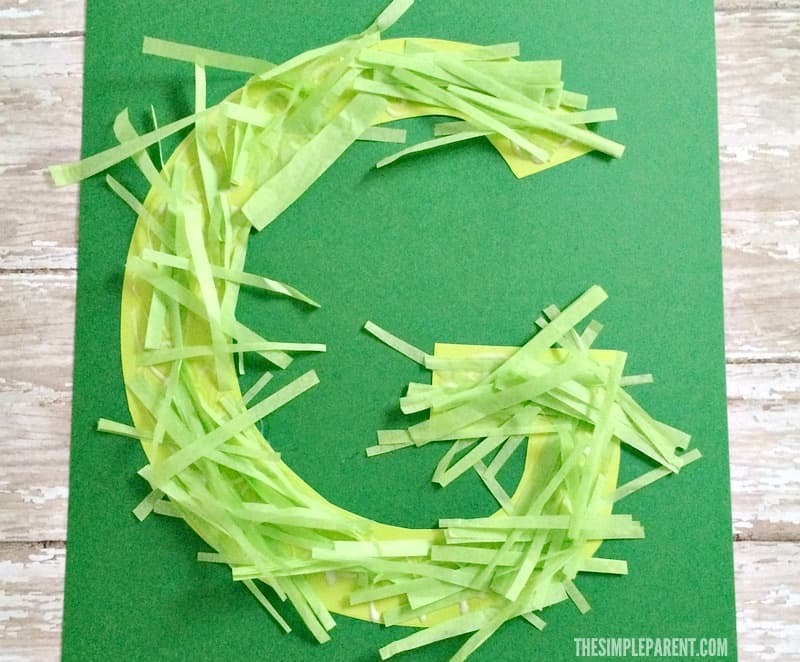 Inspiration for preschool alphabet letter crafts is everywhere, including “Spring-a-Ling Surprise” and we made our own preschool letter G craft to add to our alphabet craft ideas! G is for Grass just like all the green grass sprouting up faster than we can cut it around here! 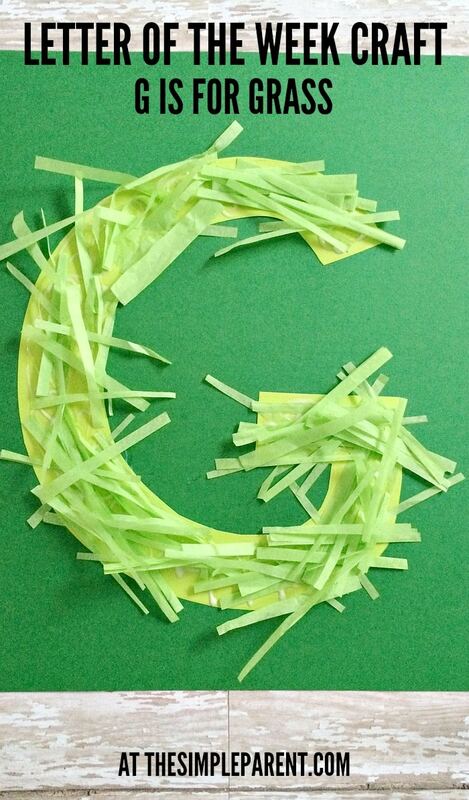 Glue the G on top of the dark green paper. Cut the green tissue paper into 2 inch skinny strips. 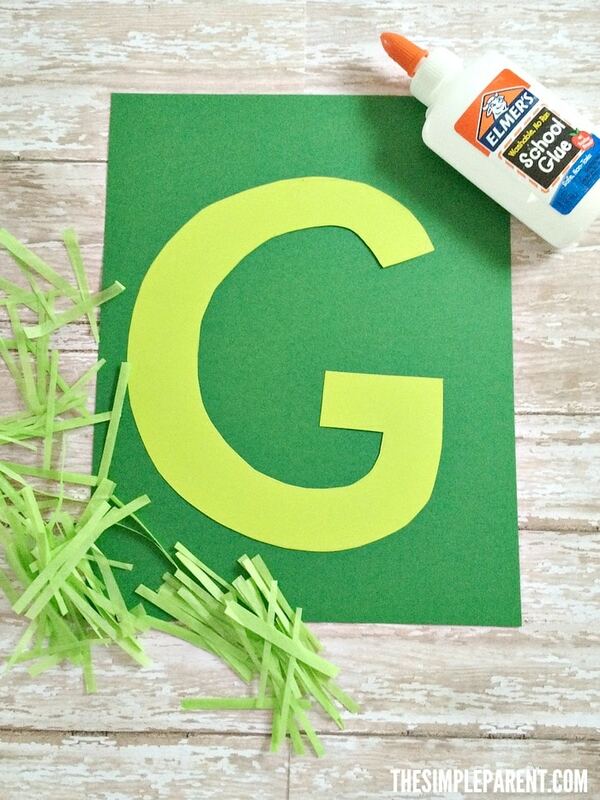 Squeeze glue all over the letter G.
Cover the glue with tissue paper and let dry completely. And then your G is for Grass craft will done! Preschool alphabet letter crafts are perfect for pairing with children’s books. We love reading books about spring and plants when we do this craft. 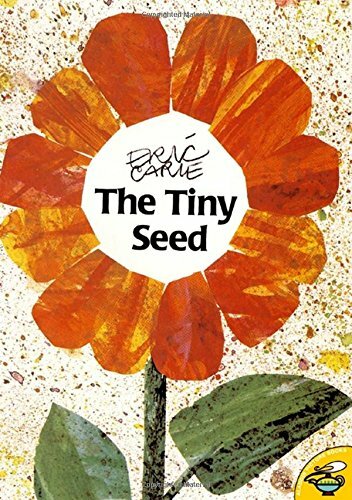 Check out a few of our favorite books to read and use our affiliate links then be sure to tune in to the “Spring-a-Ling” special for some more great spring themed inspiration! Tumble Leaf follows Fig, a small blue fox, who lives in a whimsical land where he discovers adventure, friendship and love around every bend. 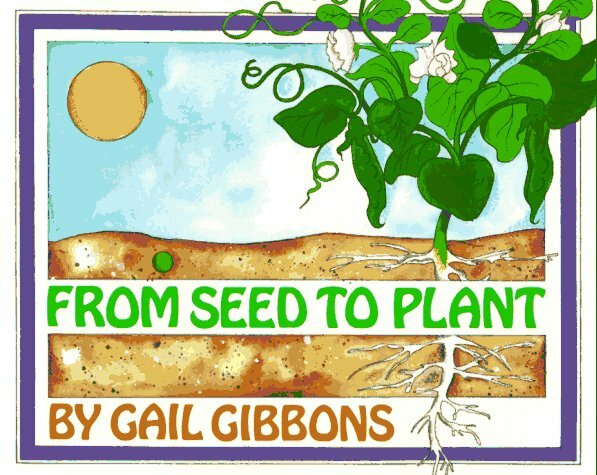 The series reinforces the importance of learning through play, as it helps children understand the world around them. Tumble Leaf features the voice talent of Christopher Downs as Fig, Brooke Wolloff as Maple, Zac McDowell as Hedge, Addie Zintel as Pine, and Alex Trugman as Ginkgo. Check out Tumble Leaf on Amazon and don’t miss “Spring-a-Ling Surprise” on Tuesday, April 4th!